Microsoft has released the official ISO images for Windows 10 Fall Creators Update v.1709, where the RTM version is build 16299.15. The ISO files for Windows 10 Build 16299.15 are published to all distribution channels, beginning from OEM portal, Volume Licensing Service Center for Enterprise editions, MSDN / Visual Studio Portal, Windows Insider site and lastly official Windows 10 download page. The official Windows 10 Fall Creators Update v.1709 ISO images for general public consumption came a day after the general availability. The official Windows 10 Fall Creators Update v.1709 Build 16299.15 ISO images can be downloaded from https://www.microsoft.com/en-us/software-download/windows10ISO or https://www.microsoft.com/en-us/software-download/windowsinsiderpreviewiso, with some caveats. 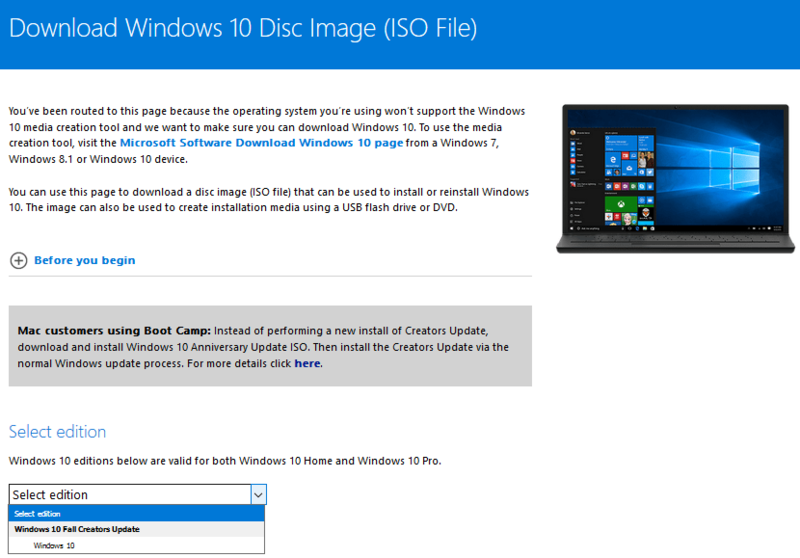 To access the “Download Windows 10 Disc Image (ISO File)” page, you need to browse the hyperlink via non-Windows operating system, such as Linux or macOS. Otherwise, you’ll be redirected to “Download Windows 10” page which provides download of Update Assistant or Media Creation Tool (which you can use to create ISO file indirectly). If you don’t have non-Windows OS, try to change user agent of web browser, e.g. change user agent in Firefox. To access the “Download Windows Insider Preview ISO”, you need to be a Windows Insider and sign in. The following list displays all Windows 10 Build 16299.16 version 1709 ISOs that are released on MSDN / Visual Studio, together with their SHA-1 hash checksum and file names. In addition, all Windows 10 Fall Creators Update Version 17 Build 16299 can also be downloaded from Microsoft TechBench, which provides official download links for Windows and Microsoft Office.